Most people often hold on to the common misconception that a guilty verdict is final. While it does signify the end of a trial, by no means is it the end for the persons involved in the proceedings. There are appeals that you can make and there is always the possibility of being able to gather up new facts relating to the case. This falls under post-conviction.The post-conviction processes were set in place to defend innocent individuals under a trial from errors within the criminal justice system. Law firms such as David A. Nachtigall, Attorney at Law, attest that just because the court hands down a verdict does not mean it is the end of the world. 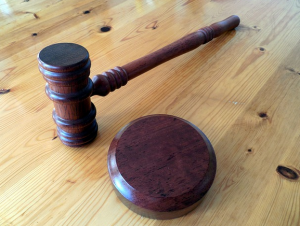 Certain matters in the proceedings can be subject to further review even after a decision. For instance, there may be cases when new evidence can surface after the conclusion of a trial. The surfacing of new evidence, depending on its weight and how significant it is, has the potential to sway a judge to overturn a previously handed verdict. At the very least, it can cause the opening of a previously concluded trial or it can lead to its declaration as null, thereby effectively reopening a new case. There are also times when mere technicalities can cause such reversals of fortune on the defendant’s part. In order for an appeal to be successful for the change of decision in the court of law, there must be a substantial reason for the higher courts to believe that there is a clear legal error made in the decision. If you are worried about the finality of the verdict regarding your case, talk to your legal counsel. There may be other courses of action that you can take—such as appeals and post-conviction remedies. Be the first to comment on "Appeal and Post-Conviction Remedies: Why a Guilty Verdict is Not the End"